Well, the sun is shinning and the afternoon temperature is going to be above 50 degrees here in the Great Northwest and that means that garage door will soon be open. 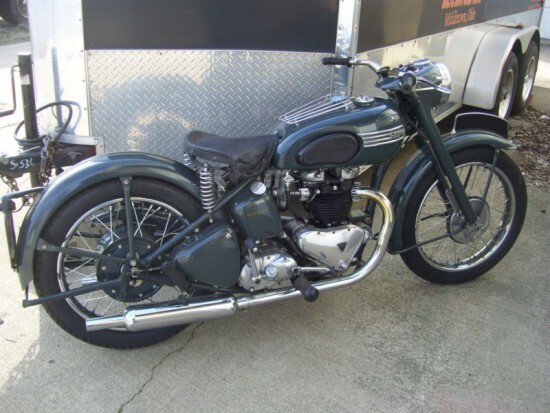 This also means I want to get my box of Triumph moving along the restoration line. But why not look at what is available now. 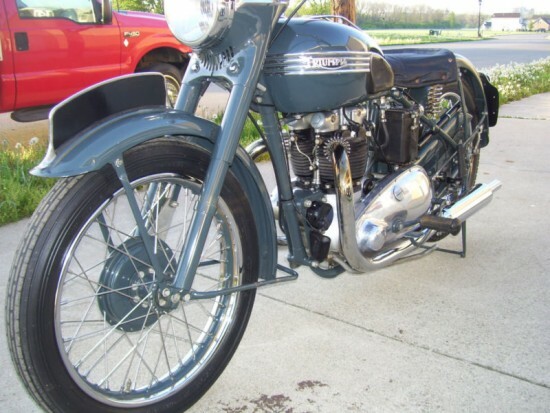 This 1950 Triumph Thunderbird now on auction is exactly what is needed. 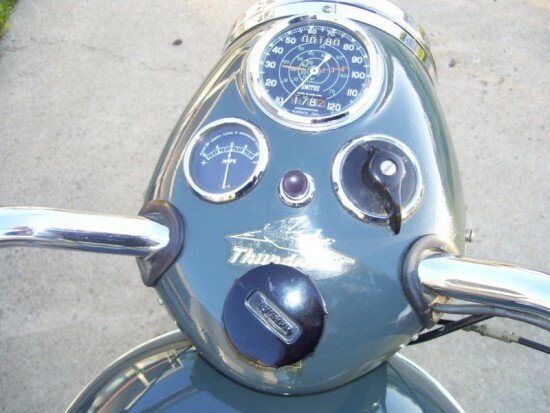 Right color, right look, ride now. Very presentable correct 1950 Thunderbird that was purchased from the second owner. It is one of the early T-birds that has the correct seldom seen dark blue/grey color that is so difficult to match. 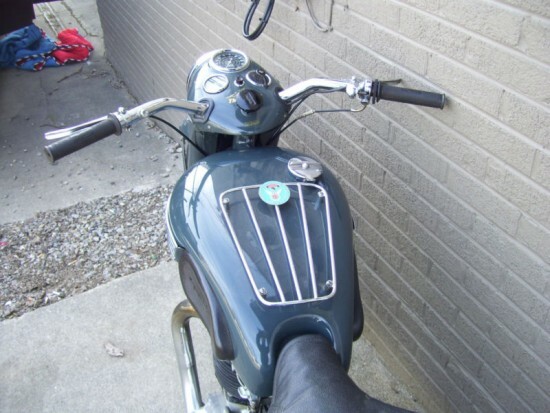 The bike starts 1st/2nd kick, does not smoke, rides fine. 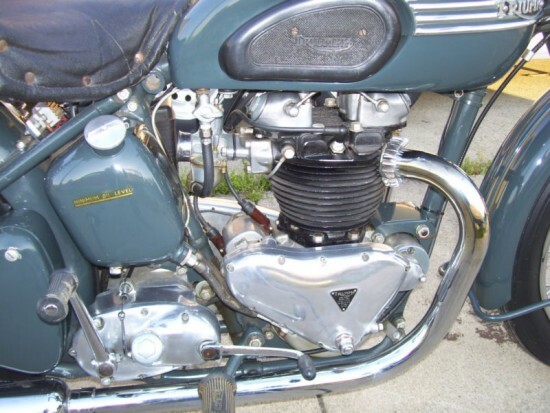 Has been awarded the AMCA Junior trophy (included in sale – badge affixed to parcel grid) and also have the correct carburetor – 276ER/1DB(with the one in place – concentric – currently- it is happier with). There are a few paint chips that will be professionally touched up prior to auction close and the top of the nacelle has some small dot size imperfections (teats) but nothing of consequence. Although this is not a 100 point trailer queen, it is very/very nice and shows well. 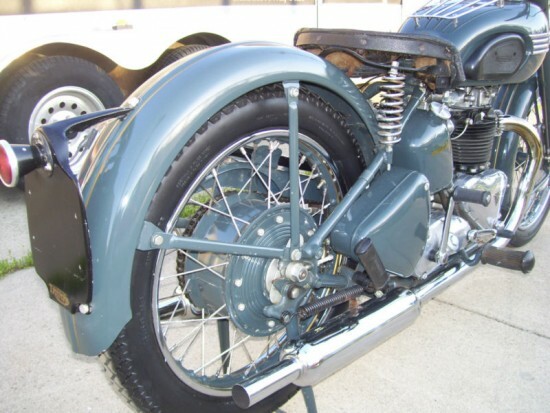 Ride/show/enjoy – as asset to any serious collection on a motorcycle that is becoming very difficult to find in this condition. Additional pictures to be added later today. Frame and engine number do not appear to have been tampered with. Frame number hidden by tank lip however I have had the tank off for inspection and the number does not appear to have been tampered with. Hi there very cool site!! Guy .. Excellent .. Wonderful . I’m happy to find a lot of helpful info right here in the publish, we need develop more strategies in this regard, thanks for sharing. . . . . .
What’s up, this weekend is good in favor of me, since this time i am reading this enormous educational article here at my house.